Update July 11 2015: TWO SPOTS LEFT, with option to bring a non-participating partner to join meals and outings but not classes. Email robyn.eckhardt@gmail.com or drhagerman@gmail.com for information. To be waitlisted in the event of a cancellation, or to be notified by email of future workshops please leave a comment at the bottom of our How to Reserve Your Place page or send us an email. Group instruction and private consultations; photography demonstrations, coaching and hands-on practice in the field and in the kitchen; food writing tips and exercises; and opportunities to share your work in a supportive collaborative environment. Join us — food and travel photographer David Hagerman, whose clients include Saveur, the New York TImes and SBS Feast, award-winning food blogger, writing coach and author of Will Write for Food Dianne Jacob, and food blogger Robyn Eckhardt of the Saveur award-winning food-travel blog EatingAsia, who freelances for publications like the New York Times travel section and is the author of a forthcoming Turkish cookbook — this autumn on Turkey’s Aegean coast for a deep dive into the crafts of food writing and photography. In today’s food publishing world even the most accomplished writers and bloggers will benefit from the ability to create stellar food images; ideally, they will be able to combine words and photos to create compelling stories. 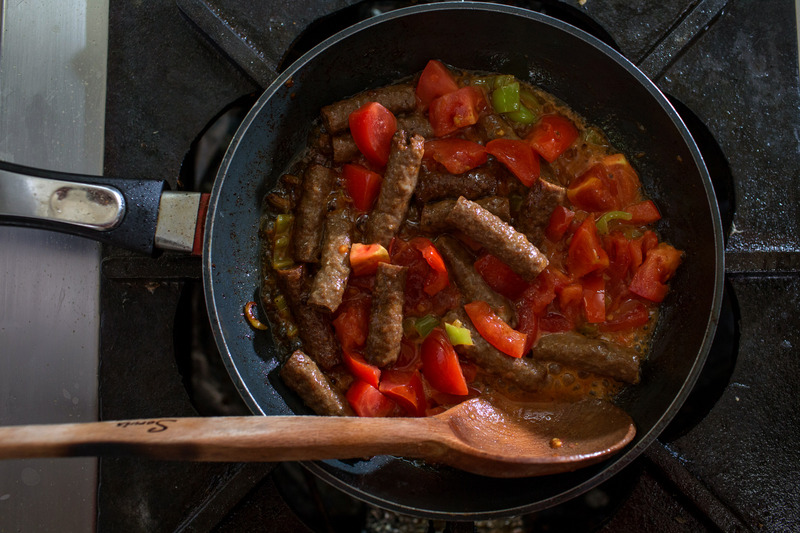 So at this 3.5-day workshop David will lead you from classroom to field to kitchen as you develop your photography skills by creating your unique culinary portrait of Aegean Turkey’s distinctive cuisine. Dianne will help you master the art of describing food without resorting to adjectives and bring you up to date on the latest trends in food writing, and Robyn will share her methods for finding your unique food story in any destination. We will convene in Alacati, a gorgeous town on Turkey’s beautiful Cesme peninsula, where we’ll stay and work at Tas Otel, a lovingly refurbished 120 year-old stone house walkable to cafes, shops and restaurants. Alacati’s history goes back over 150 years, and most of the historical buildings lining its narrow streets have been restored. Crowded during the summer and popular with weekenders from Istanbul, the town will be relatively quiet during our weekday stay, offering the opportunity for unfettered early morning and evening photographic expeditions. Our party of three instructors and a maximum of ten participants will occupy most of the hotel — including two guest houses that share a private swimming pool and garden — making it easy to meet informally one-on-one or in groups, to chat, brainstorm and share experiences. Good eating is, of course, a given. During our time together we’ll feast on the region’s autumn bounty at a variety of venues including small family-owned restaurants and a winery. 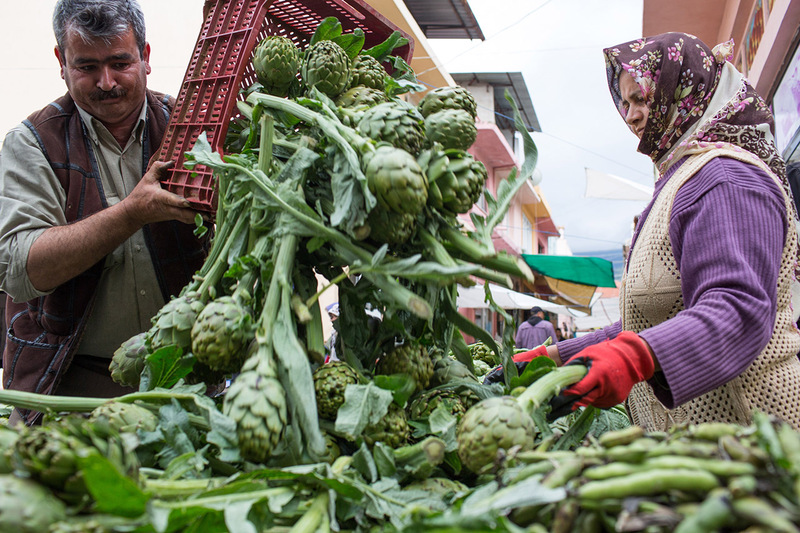 After kicking off the workshop with a full day of instruction and hands-on photography around town, we’ll devote the next morning to photographing the staggering display of fresh produce, seafood, meats and cheeses at one of Turkey’s largest once-a-week farmer’s markets. The last morning of the workshop we’ll spend with an experienced cook and instructor of Turkish ev yemegi (home food). In her kitchen you’ll learn how to prepare — and photograph — lesser-known local dishes incorporating seasonal ingredients. You’ll leave Alacati inspired, with amped-up photography and writing skills and the confidence that comes from having put those skills to practice. You’ll also depart with new friends: a solid network of enthusiastic, like-minded writers and photographers rooted in a shared experiece of intense work and good fun. Alacati is a 45-minute to 1-hour shuttle or taxi ride from Izmir’s Adnan Menderes Airport, which is an easy 1 hour flight from Istanbul and is serviced by Turkish Airlines and Turkish budget carrier Pegasus Airlines (as of January 2015 Pegasus was offering round-trip fares between Istanbul’s Ataturk Airport and Izmir at less than $50). This workshop is limited to a maximum of 10 participants. We welcome non-participant partners at an additional cost (see our Accomodations and Cost page for details). Non-participant partners will join us for all meals and excursions — but not for writing, photography or cooking instruction. With its proximity to beaches (the Cesme peninsula is a mecca for kite surfers and windsurfers) and the Roman-era ruins at Ephesus (a day trip, easily arranged through our hotel) and its plethora of cafes and boutiques, Alacati offers many diversions. From 2 pm Check into your room at Tas Otel. 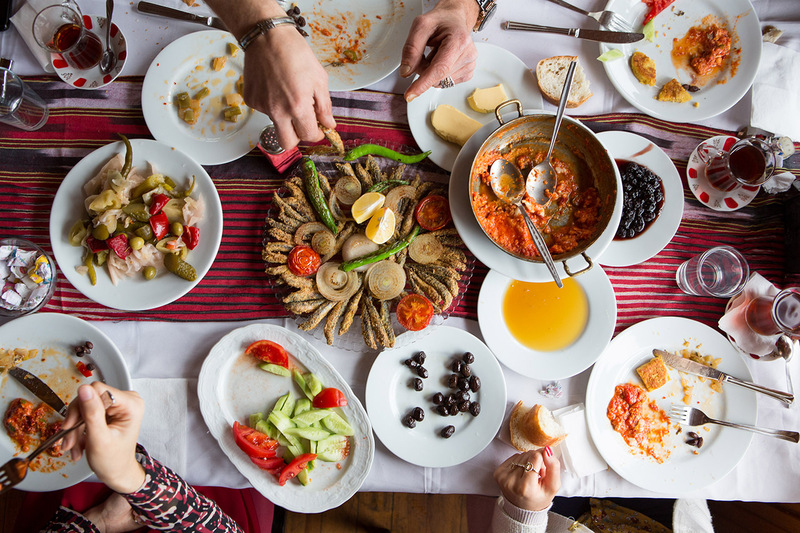 7pm Join fellow workshop attendees and their non-participating partners at Dianne, David and Robyn’s guest house in the hotel garden for drinks and a casual buffet supper of Turkish dishes prepared with seasonal ingredients from Alacati’s weekly farmer’s market. 930-1030am Group Instruction: No matter where you go (and even if you stay at home) there’s a culinary story waiting to be told. In this one-hour class Robyn Eckhardt will share techniques for honing in on a topic, finding your unique angle, locating and interviewing experts and researching a story from the ground up. 10:45-1pm Workshop: How many adjectives do you string together when writing about food? Yet writing about food is not just about describing it. In this 2 1/4-hour workshop, Dianne Jacob will teach how to use metaphor, simile, contrast, humor and other literary techniques to wake up your food writing. Writing exercises will let you try out these new techniques. 1-230pm Lunch at hotel (non-participating partners will join us). After lunch, take a break to rest, relax or write. 330-430pm Group Instruction with David Hagerman: Food is a visual journey, and photographs let you take the reader along with you. 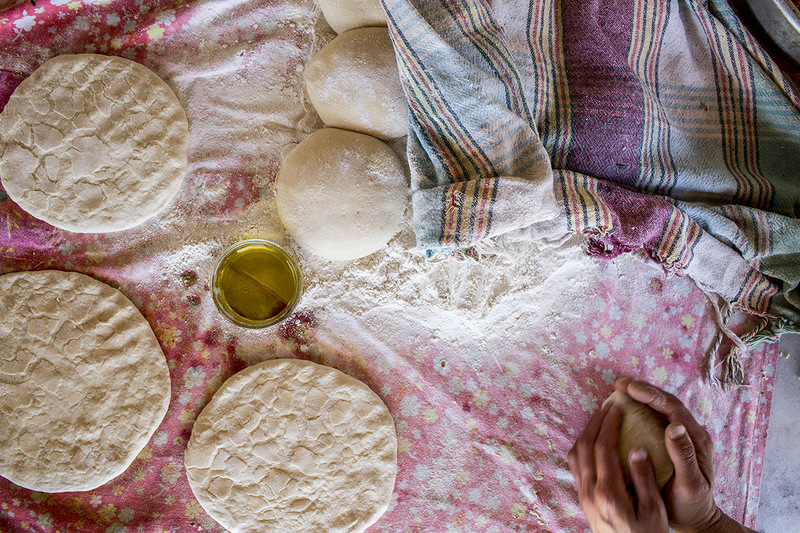 In this hour-long class, learn how to use your images to tell your own story of a cuisine, from ingredients to food producers and sellers, and from the cook to the final dish. We’ll focus on composition, making the most of light and getting comfortable working with and photographing people. 430pm-sunset Time to put the days’ insights to use: grab your camera and head with David Hagerman onto the streets of Alacati to capture images of the town and its residents engaged in evening activities. 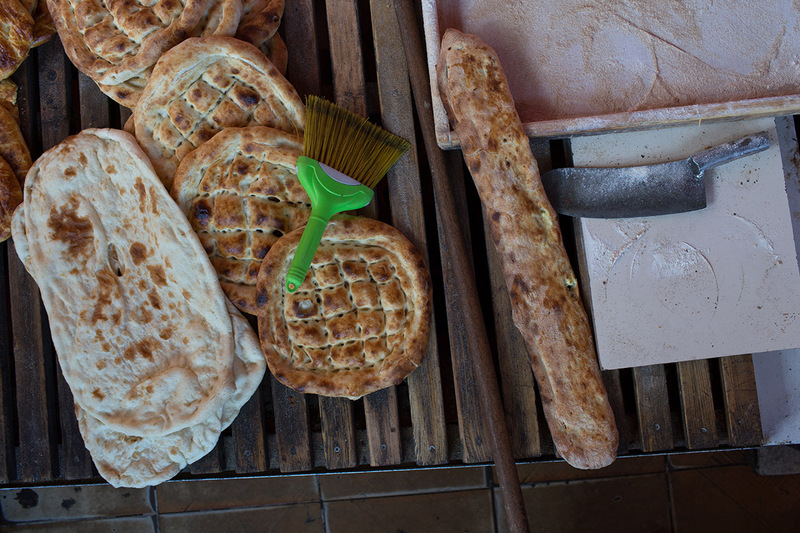 10am – 1230 or 1pm In the inland town of Tire we’ll explore and photograph one of Turkey’s largest weekly markets, which sprawls up and down hills and over the winding streets and alleyways of this historic but little-touristed town. This time of year we’ll expect to see many vendors selling otlar, or wild foraged greens, as well as a variety of autumn fruits and vegetables. Explore on your own or work together. David will be available for consultation and Robyn, who speaks Turkish, can help you communicate with vendors. Tire also boasts a couple of snack-y specialties, and we’ll try to work our wanderings to include a stop at at least one such shop. 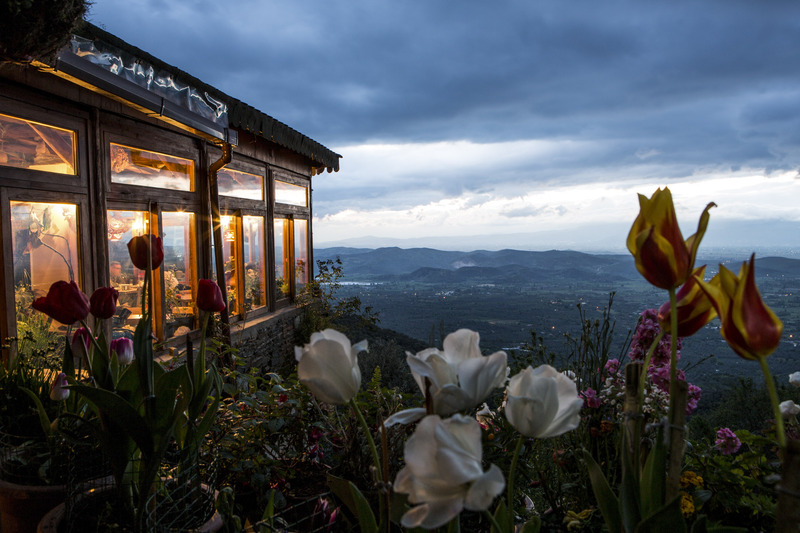 1pm Board van for transfer to a small family-owned, mountaintop restaurant with a view, where we’ll enjoy a large lunch of meze, main courses and tatli, or sweets (alcohol not included). Many dishes will incorporate the seasonal ingredients you photographed at the market. 3/330pm – Depart for hotel, arriving 4/430pm Free time to write, edit photos and/or relax and explore Alacati. After today’s large, late lunch you’re on your own for dinner at any one of the many cafes and restaurants within walking distance of the hotel. 2-4pm Group meet with Dianne Jacob: What are the trends in food writing today — whether freelancing, blogging or authoring cookbooks? We’ll discuss what’s new in pay, styles, ethics and ingenuity. 4-730pm Private consultations: Dianne Jacob and David Hagerman This is your chance to workshop your images with David and receive private coaching/advice from Dianne. At the beginning of the week you will have signed up for two 30-minute coaching sessions. We have blocked out time enough for each workshop participant to engage in one session with each instructor. Consultations will continue Thursday morning (see below). 930-11am A continuation of private coaching with Dianne and David (see above). 12 noon Check-out and good-byes.